Frank Field has told his constituents he had given up the party whip "with considerable sadness", but could not condone Labour's "appalling culture". Writing in the Liverpool Echo after resigning on Thursday, Mr Field said he nominated Jeremy Corbyn for leader in 2015 to ensure a "broad debate".But he said his hope "could not have been more wide of the mark" and the party is now intolerant. A Labour Party spokesman has thanked Mr Field for his service to Labour.Mr Field is due to meet with Labour's chief whip on Friday to discuss his options - he wishes to serve as an independent MP whilst remaining a member of the party, but Labour sources have said this would not be possible. Mr Field quit the party's parliamentary group through a letter to the chief whip on Thursday, saying the leadership is becoming "a force for anti-Semitism in British politics".The Birkenhead MP - who lost a confidence vote in his constituency party last month over his pro-Brexit stance - also blamed a "culture of intolerance, nastiness and intimidation" in local parties.Jeremy Corbyn has apologised for hurt caused by anti-Semitism in the party and pledged to stamp it out.A Labour source claimed "Frank has been looking for an excuse to resign for some time." 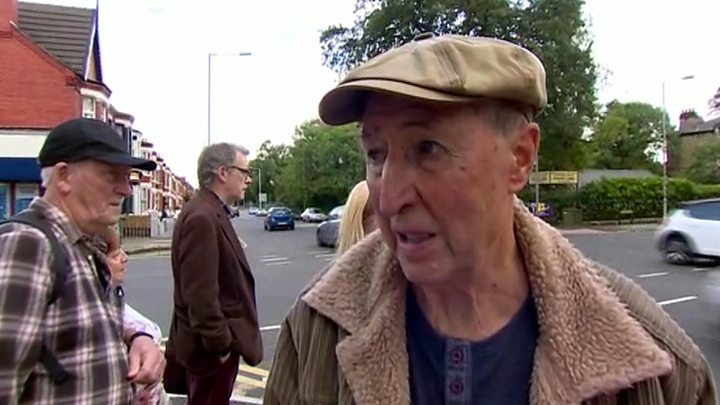 In the article for his local newspaper, Mr Field said the reason he was one of the 36 MPs to nominate Mr Corbyn for the leadership in 2015 was "to be inclusive of the hard left, as these views have a legitimate place in Labour thinking".He said he disagreed with the leader's "blind support" for social governments elsewhere in the world, but believed his domestic policies could be "shaped" to give a voice to those affected by "social and economic upheaval" in the UK. But, he added: "My wish to see a more inclusive debate in the Labour party could not have been more wide of the mark. "Following Jeremy's election as leader and the growth of party membership, which would in normal circumstances be welcome, we have become a party that displays intolerance, nastiness, and intimidation at all too many levels." Mr Field said his constituency party was characterised by "sheer thuggery and blatant bullying" with "racist, ageist and sexist" intolerance. He also said his complaints to the national party about it had been "met with silence" and such behaviour "is a cause for shame and is unacceptable to me".Mr Field, who has been a Labour MP for almost 40 years, lost a confidence vote by his constituency party after voting with the government over Brexit plans.On Thursday, he denied he was "jumping before being pushed" and used the article to further condemn some local members. He repeated that he would remain a member of Labour but added: "I cannot, through continuing to take the Labour whip, lend any legitimacy to the most appalling culture which is now dominating national and local Labour Party institutions." Mr Field concluded the article by calling for two "major changes". "First, the current excuses for its blatantly racist toleration of anti-Semitism must cease and we need to regain our position as being the leading force against racism in this country," he wrote. "Second, the party must recognise the culture of intolerance, nastiness and intimidation that it has allowed to grow unchecked and expel local members whose public conduct is simply disgraceful." A number of Mr Field's Labour colleagues have praised him and expressed their own concerns about their party. Labour's deputy leader Tom Watson described the resignation as a "serious loss to the party" and a "major wake up call". MP Mary Creagh said the fact Mr Field's local party wanted to deselect him "speaks volumes about the state of our party".And fellow MP Siobhain McDonagh has described Frank Field as "a Labour warrior", telling BBC's Newsnight: "Don't we want in our politicians and our MPs mavericks who are prepared to stand up and say it as it isHe was also applauded by some Conservative MPs, with Home Secretary Sajid Javid tweeting that he was "a man of integrity and principle". But Corbyn-supporting members of Labour have criticised Mr Field's decision. MP Chris Williamson denounced his colleague's comments as "grotesque slurs, which have no basis in reality".He told Newsnight: "The party has taken the issue of anti-Semitism very seriously; far more seriously than any other political party. "It's so sad to see someone like Frank Field trashing Labour's anti-racist record". And Labour's Shadow Justice Secretary Richard Burgon said Mr Field should face a by-election. Labour has been dealing with a row about the extent of anti-Semitism within the party for more than two years.A 2016 inquiry, carried out by Shami Chakrabarti, concluded that while the Labour Party was not overrun by anti-Semitism, there was an "occasionally toxic atmosphere". Recently, the focus has been on a new code of conduct the party has adopted on anti-Semitism, with critics concerned that it does not go as far as the International Holocaust Remembrance Alliance's guidelines.Earlier this month, Mr Corbyn again apologised for hurt caused to Jewish people by anti-Semitism in his party and admitted Labour had been too slow in dealing with disciplinary cases.Mr Corbyn also stressed that people who hold anti-Semitic views "have no place in the Labour Party" and said people who use "anti-Semitic poison" are not his supporters, nor do they speak for him or the party. 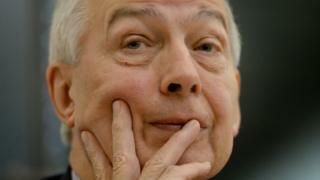 » Profile: Who is Frank Field?